In the last three years, I’ve traveled all over the U.S., well over 50 communities, speaking to thousands of people from all walks of life and hopefully inspiring them to join the fight for a No Kill nation. I’ve also traveled as far away as Australia and New Zealand. In some communities, as many as 500 people packed the room. In others, it was more modest. 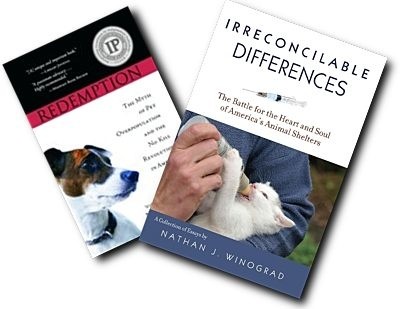 But in the end, over 10,000 participated in a Building a No Kill Community seminar and almost 100,000 copies of Redemption were put into the hands of animal lovers. The effects of the tour have been great. We’ve seen a growth in the number of No Kill communities both at home and abroad. In the audience of my Wilmington, DE workshop was a representative for the Governor who went on to introduce the Delaware Companion Animal Protection Act. In other communities, I met with state legislators, mayors, city council members, and in places like New Zealand, members of Parliament. I also met people from all walks of life who were inspired by Redemption and went on to start rescue groups and reform their own shelters saving thousands of animals in the process. Some of the results have been small, but no less worthy. In North Carolina, people driving from another state to hear me speak found a little abandoned kitten on the side of the road in the middle of nowhere. Staff from a No Kill shelter at the seminar took him in and ultimately found him a loving, new home. As gratifying as it has been, the Redemption and Irreconcilable Differences tour has come to an end. Of course, I am still on Animal Wise Radio every week, still blogging, still writing books, still doing webinars, still helping advocates reform their shelters and implement No Kill communities, and I’ll be back to public speaking with the No Kill Conference in Washington D.C. in July, 2011. I am also working on a couple of exciting projects which will launch in 2011. I want to thank everyone who attended one of my seminars over the last several years and for believing, as I do, in the power of compassion to end the systematic killing of animals in “shelters.” A No Kill nation is within our reach.